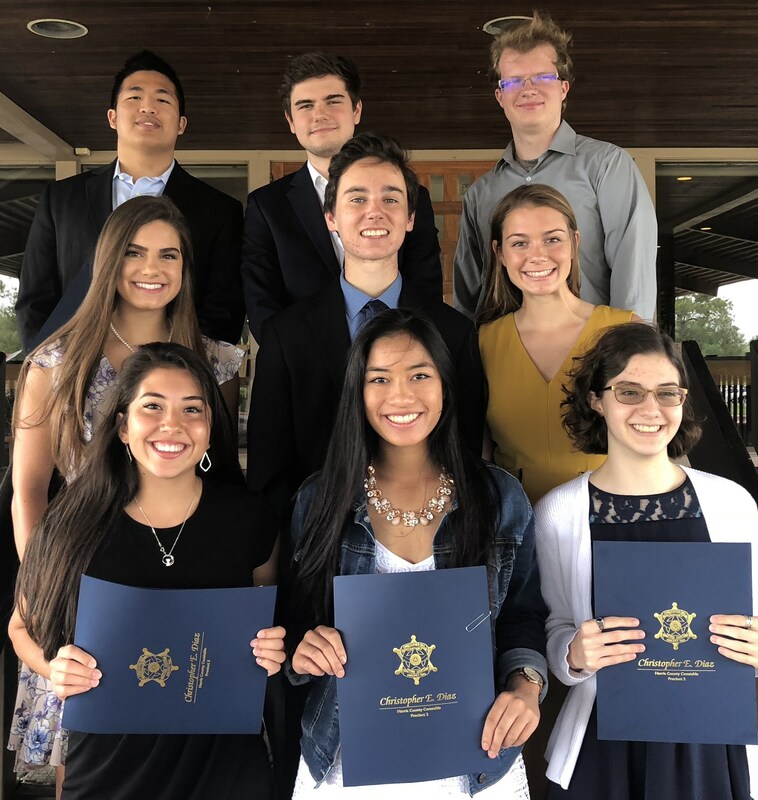 Each year the South Belt-Ellington Chamber of Commerce holds the Top Ten Luncheon to celebrate the top ten students from local high schools; Clear Horizons, J. Frank Dobie and Lutheran South Academy. Area chamber members sponsor students to attend the luncheon held at Golfcrest Country Club. In addition, two LSA students were named recipients of the Dr. Victor Van Phan Scholarship. Congratulations to Serena Everett and Lily Fehst. LSA’s top ten honorees were Morgan Bates, Matthew Bui, Serena Everett, Lily Fehst, Julia Gaidousek, Mark Giugliano, JD Leaverton, Andrew Leimkuehler, Hannah Sleeper, and Joseph Spencer.